Air conditioning is what makes Phoenix habitable, but even that has limits. We keep our air set at 82-degrees. This keeps us comfortable but is still not quite cool enough for some stuff in our kitchen. The chocolate chips in my pantry go soft. Miniature candy bars, stockpiled from holiday clearance sales, goes outright melty. Marshmallows and caramels begin to fossilize. I keep some things in the fridge but I can’t get all of it in there. This means I obviously need to start baking and use up the stuff while it’s still good. 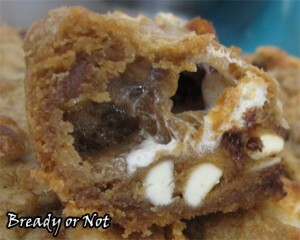 Traditional fluffernutter bars use peanut butter. You can certainly do that here–or use any nut butter–but I used my good ol’ Biscoff spread because, as you all know, I’m obsessed with the stuff. It makes everything taste like cookie dough. What’s not to love? I also used half a bag of mini marshmallows (you’ll find out what I did with the other half in another recipe) and a bag of chocolate chips. You know what’s cool about using marshmallows in a recipe like this? CAVERNS. It creates pockets of invisible sweetness. Look! See? My husband took this to work and it was, um, popular. The whole 9×13 pan’s worth of bars just kinda vanished and he had recipe requests. I don’t believe in secret recipes. Share the love. If that love happens to involve chocolate, Biscoff spread, and marshmallows, all the better. Recipe greatly adapted from Back for Seconds. Preheat oven to 350-degrees. 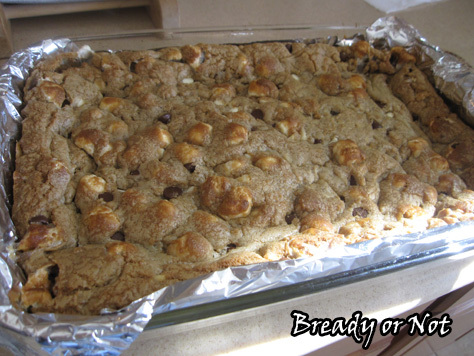 Prepare a 9x13 pan with aluminum foil or parchment and apply nonstick spray. In a mixing bowl, cream together the butter, Biscoff spread (or nut butter), and sugars. Add the eggs and blend in, followed by all of the dry ingredients. 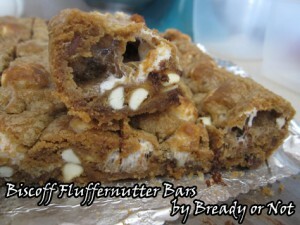 Gently fold in marshmallows and chocolate chips. It'll be thick. Spread the dough into the pan and even out. Bake for 20 to 25 minutes, or until lightly browned on the edges. 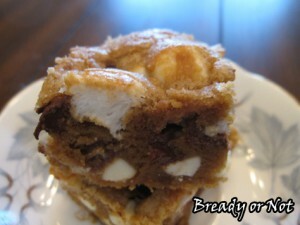 The center will jiggle slightly from the marshmallows but it will set after it cools. Cool completely and cut into squares. Store in a tightly sealed container. Today I bring you an interview with the awesome Tex Thompson, whose debut novel One Night in Sixes comes out tomorrow from Solaris. 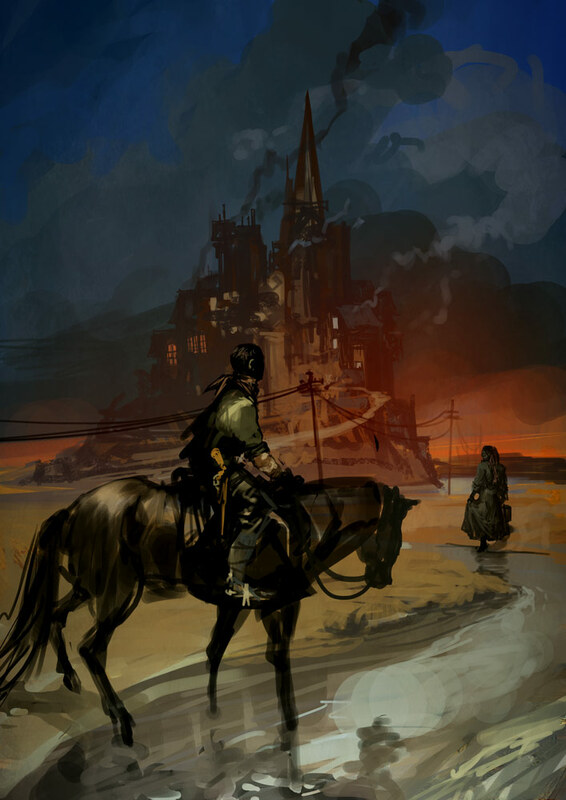 It’s a dark fantasy western full of intrigue and mischief. You can find out all about the book over at The Tex Files. Beth Cato: How much of your soul did you need to sell to get such a beautiful cover? Tex Thompson: Amazingly, less than 10%! My benevolent editorial overlord, Jonathan Oliver, picked out Tomasz Jedruszek (alias Tomek) to do the cover, but he let me come up with the scene and request multiple rounds of editorial changes along the way. I’d spent my whole life expecting to get zero cover input, so to have a phenomenal artist AND a seat at the art table was an unexpected thrill and a delight. Beth Cato: I had set myself up for the same–that’s what we’re always warned of, with all the horror stories to go with it. Voyager was just as amazing for me. How did you react to the final cover? Beth Cato: As a nit-picky reader who does notice those kinds of things on covers, yes, that does matter. I love the name Appaloosa Elim; it rolls off the tongue. Is there any story behind the creation of the name? Or did it just plain sound good? Beth Cato: It really does. It sounds like a western character–there’s a mood to the name. Your book blends western and fantasy. Is the western element based on a particular decade or parallel place in the United States? Tex Thompson: Not specifically, no – in doing research, I targeted about an 1850s level of technology, and set it in a place like the American Southwest. In terms of climate and geography, Sixes would be about where Tucumcari, New Mexico is today – but after watching our friend JK Cheney’s titanic struggles to faithfully represent turn-of-the-century Portugal, I knew I did not want to tie myself to a specific time and place! Beth Cato: Tucumcari. I’ve passed through there on Interstate 40 more than once. Now that you say that, yes, I can picture Sixes there. 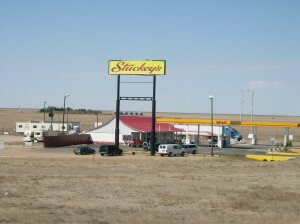 Minus the Stuckey’s and billboards for a million hotel rooms. 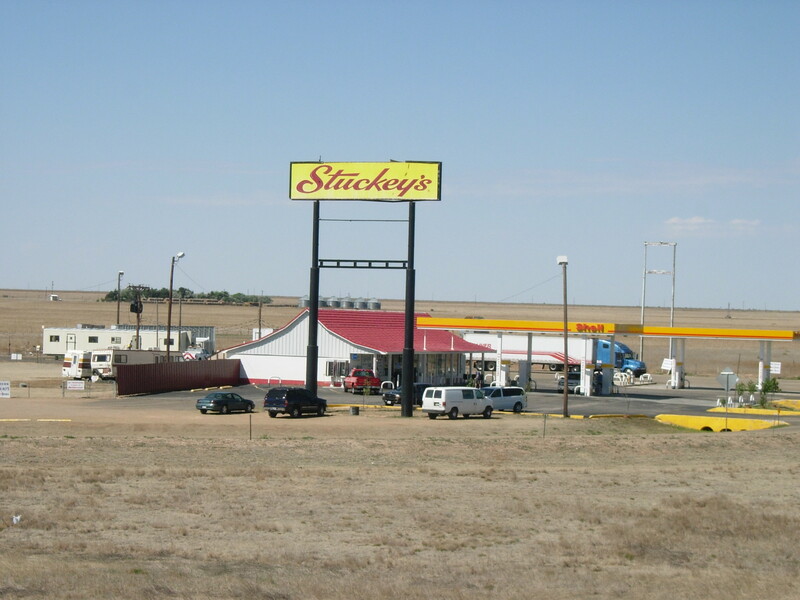 Tex Thompson: Haha, we have a photo with that Stuckey’s. But yes, exactly – it never seems to be anyone’s destination, but is a hot, flat, unavoidable somewhere you have to pass through to get to somewhere else. Beth Cato: That’s a very good way to describe it! To return to your comment about historical research. Similarly, I set my novel off Earth so I could be flexible with technology and history, but I still did a lot of research on Earth-equivalent subjects like World War I. Did you use books or web sites like that? If so, any you recommend? The whole thing’s like that, and it tickles me pink every time I crack it open. I know information’s cheap nowadays, but a good voice is hard to find. My parents love watching westerns on a daily basis, so I have to ask what your personal favorites are, movies or series. Tex Thompson: Oh, that’s a tough one. You know, I never really grew up with / got into the more traditional, iconic stuff – rugged heroic white guys on horseback saving the world from Indians and black-hatted desperadoes, one winsome rancher’s daughter at a time. But I tell you what: True Grit flipped my wig. I’ve got the book and both versions of the movie, and I can’t get over it. I love the dialogue, the simplicity of the story (which I realize is funny, coming from me), and the whole idea of this enormously unlikely hero, this bookkeeping 14-year-old girl, hitching up her britches and going out to get justice for her father. For me, that “accidental underdog” note struck the same chord as some of my very favorite fantasy (little hobbits venturing out of the Shire, Earth-children saving Narnia, etc. ), and really got me interested in the whole Western genre. Beth Cato: True Grit is a fantastic story, period. Since this interest is recent, when did the nickname of “Tex” come about? Tex Thompson: Oh, that’s much older than you might think! I squandered my youth playing Everquest and online X-Men RPs. The former got me a husband, and the latter got me the nickname Tex, from my various AOL / EZboard screennames (which I will not repeat here, lest someone dig up archival evidence of my mediocrity!) When I started attending the DFW Writers Workshop, I decided that I could just about handle having my life’s work eviscerated by a roomful of strangers – but I couldn’t do it with my own name. So Bruce Wayne had to become Batman, and I had to become Tex. And you know, that heroic monosyllable is just so custom-made for hollering down a hallway that I don’t think I would change a thing! Beth Cato: It is! And here you are with a fantasy/western, which makes it even more appropriate. Funny, how things work out. How many books will be in your series? What’s the schedule like for their release? Beth Cato: Me, either. I gotta say, I LOVE the title Medicine for the Dead. Makes me wonder about the fates of some characters who I will leave unnamed. One final question to wrap things up… How do you plan on celebrating on book release day? Tex Thompson: Cookies and tequila! And plenty of paper bags. (They are just dang handy, y’know – for breathing into, drinking out of, and/or wearing over your head. Highly recommended.) I should really hit you up for cookie recipes, actually. Let’s do that later! 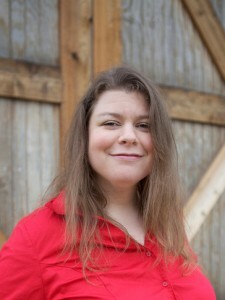 Beth Cato: You know I’ll be happy to help! 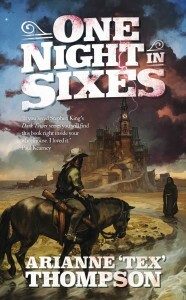 You can order One Night in Sixes on Amazon, Indiebound, Barnes & Noble, or add it on Goodreads. Congratulations to Tex on her book release! The woman deserves her cookies and tequila. Every so often, I like to mention how much I love the Pioneer Woman. I own all three of her cookbooks. I’ve followed her online for years and printed out many of her recipes. I’m also an enthusiastic watcher of her television show. 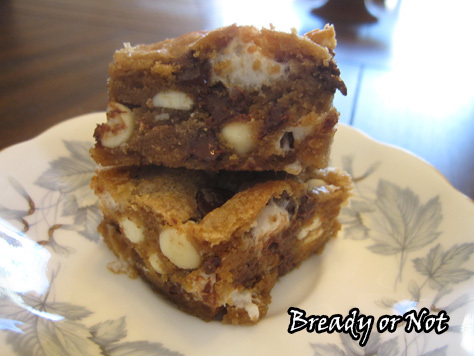 The original of this recipe was featured on her show a while back. 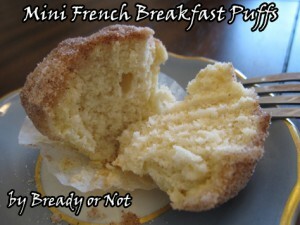 The breakfast puffs reminded me greatly of a “mini muffin pan donut” recipe I tried a few years ago. It was one of those recipes that’s really good fresh, but goes stale by the next day. Since Ree Drummond emphasized that her version stayed good and was excellent to freeze as well, I figured I needed to give her variation a try. This being me, though, I still had that old recipe on my mind. I modified her recipe to amp up the spice, cut down the coating (it made way too much! 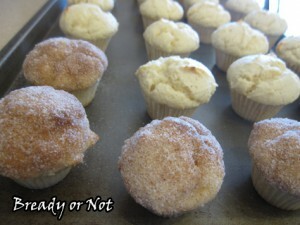 ), and adjusted everything for a mini muffin pan. This created puffs that were much more friendly for my husband to take to work and share with a lot of co-workers… and for me to try one without having to eat an entire big honkin’ muffin. In mini size, this makes about 40. They rose beautifully, with the texture light and cakey. Unlike the old recipe, they were just as tasty the next day, and as promised, they froze and thawed wonderfully! 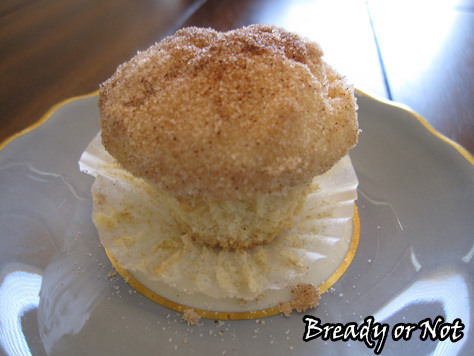 The perfect bite-sized breakfast muffin. Betcha can’t eat just one. Modified from the original French Breakfast Puffs by Ree Drummond. 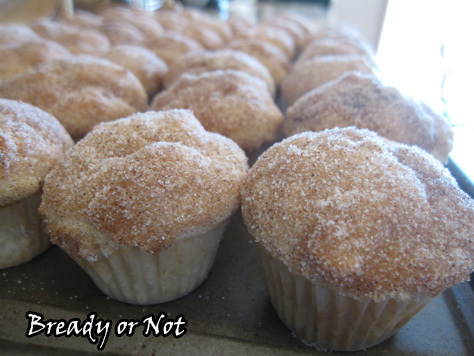 Preheat the oven to 350-degrees F. Prepare the mini muffin pan by using liners (highly recommend the liners) or spray thoroughly with non-stick coating. 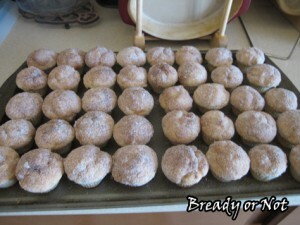 Stir together the flour, baking powder, salt and nutmeg. Set aside. In a different large bowl, cream together the sugar and shortening. Add the eggs and mix again. Measure the milk. Alternate adding the dry ingredients and milk into the sugar mix until everything is just combined. Use a tablespoon scoop or spoon to dollop batter into each cup. It should be about 2/3 full. Bake until golden, 14-18 minutes. Remove the muffins from the pan and set aside as you ready the next batch. While that's baking, start the coating. Melt the butter in a microwave-safe bowl. Combine the sugar and cinnamon in another bowl. Dip the warm muffin tops in the butter and then in the cinnamon-sugar mixture. !Keep in a sealed container at room temperature. They can also be frozen for later enjoyment.